I can think of very few events that are happier than a wedding. Marriage is about bringing two people together that make each other feel complete. Likewise, brewing is about putting together ingredients that complement one another to produce a finished brew for others to enjoy and celebrate. 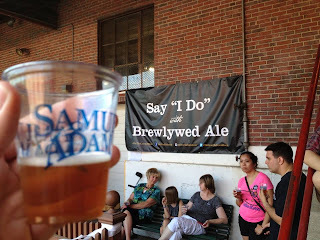 Earlier this week I attended the release of Brewlywed Ale at the Samuel Adams brewery, and after doing so I now understand why it is that beer and matrimony go hand-in-hand. 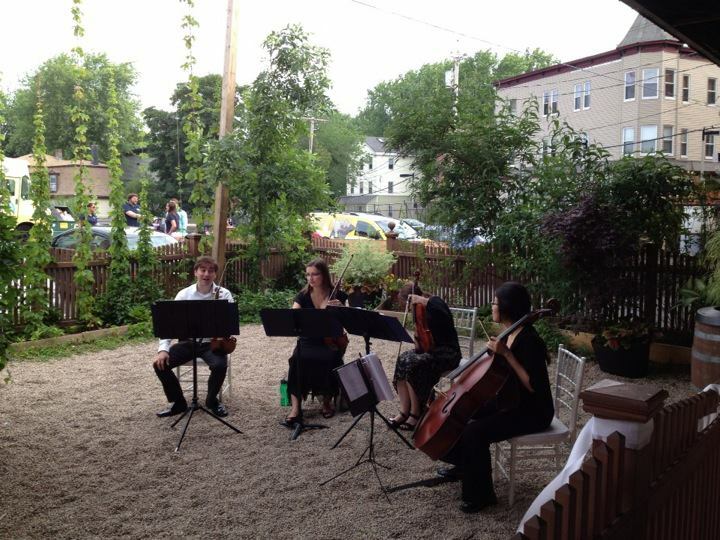 I work in the Stony Brook neighborhood of Jamaica Plain in Boston, right down the road from the brewery. I often go there to take tours, check out different items in the gift shop, or just hang out in the beer garden next to the hop yard. A couple of weeks ago I started to see posters advertising the Brewlywed event, which only happens once a year. Now, I'm a single guy, but I know a lot of people who are either engaged or married. Plus, I like to try rare and unique brews. I decided that I just couldn't pass an event like this up. I didn't know what to expect when I got to the brewery. I woke up early in the morning to make sure I could be there when the line started forming. To my surprise, lots of people were there earlier than I was! Thankfully, I still managed to be one of the first 50 in line, #43 to be exact. That meant that I was able to score a bottle of Brewlywed signed by Sam Adams founder and brewer, Jim Koch! 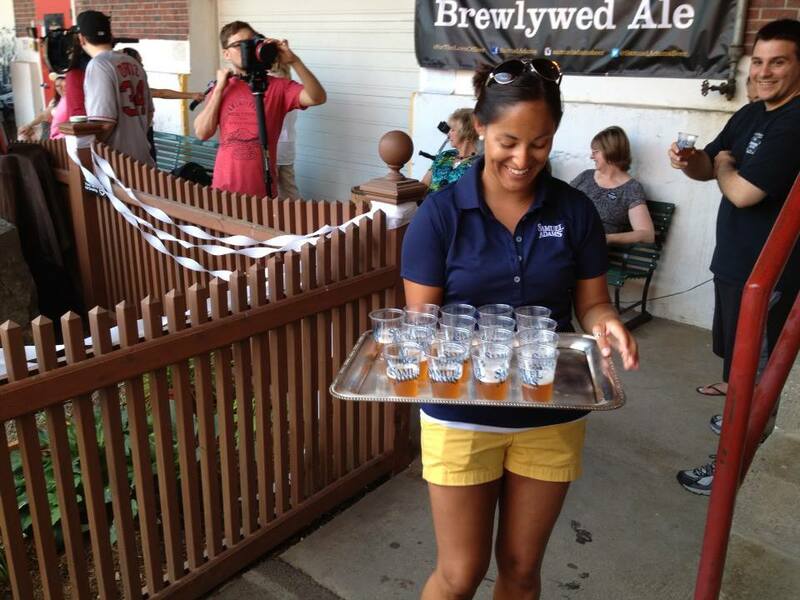 We waited for hours near the beer garden for Brewlywed to be available for sale. Fortunately, the friendly staff and beautiful setup made time pass relatively quickly. 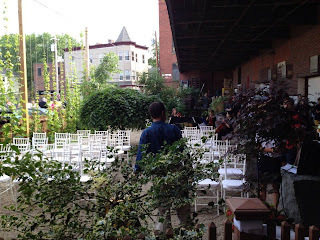 There were chairs set up in the garden along with decorations, and the staff kept things organized while also keeping us engaged. They even had a string quartet playing songs for us as we stood in line! All of this may sound like the makings of a wonderful wedding ceremony, and it was. 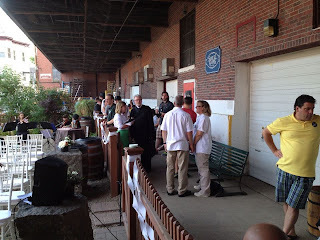 In addition to all of that, there were large groups of people dressed in formal attire, beer-infused wedding food, and a Justice of the Peace on hand to make things official for anyone who wanted to renew their vows or get married right then and there. Best of all, Jim Koch himself showed up to act as the best man or maid of honor for anyone who decided to tie the knot! I've met many brewers, and most of them have been warm and kind-hearted people. The same was true for Jim Koch. He's worked hard to get where he is today, and success doesn't seem to have affected his personality. I wasn't expecting to be able to meet him, but when I did I found him to be outgoing and full of life. He was very happy that all of us could be there to join in celebrating the tradition of brewing and marriage, and we were more than happy to be there. Beer has been involved in weddings for a long time, not just dating. Before champagne came around, beer was the celebratory drink at almost every festive occasion. As a matter of fact, in medieval times the word "Bridal" actually meant something more like "bride ale," and was used in reference to events where people drank lots of ale in celebration. I like the sound of that! When Jim Koch got married, he brewed a special recipe for his wife. After that, he and his daughter worked together to brew the first batch of what would later become Samuel Adams Noble Pils for her wedding day. Beer can be used to mark very special moments in our lives. To pour your heart and soul into making a brew that is personal to you can make those moments even more memorable. After telling us more about the history of brides and ales, Jim decided he would open a bottle of Brewlywed using a sword that had been in his wife's family for generations. Much like today, where people will often ceremonially "sabre" a bottle of champagne, Jim ran the sword along the bottle to release the cork. He then raised the bottle to make a toast, to which we all responded with a resounding "cheers!" 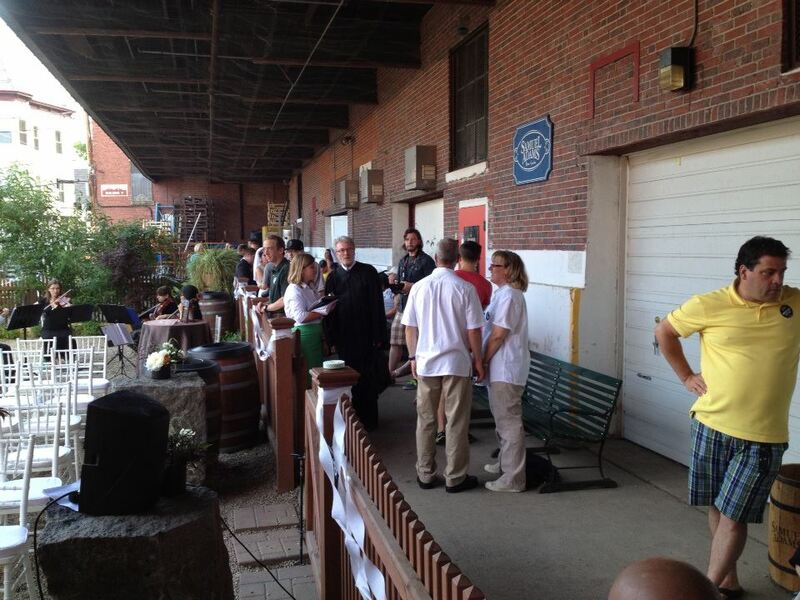 When we finally were allowed into the brewery, the festivities continued. More samples of Brewlywed were given to us, as they had been when we were in line to use for the toast. Overall, the Belgian Strong Pale Ale had many of the characteristics of a marriage. It started off bubbly and sweet, then there was a little bit of spice, but in the end it was complex and powerful. 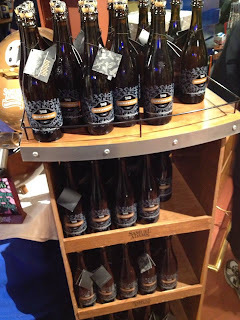 I got in line as soon as I could to purchase a few bottles of the rare brew while I was there. 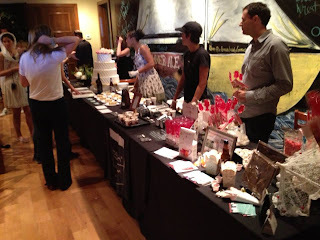 Considering that Brewlywed is only available one day a year and that this was only the second time this event had been held, I wanted to make sure I took enough home for myself and to share with the people I care about. I'd say it was a successful day, and it was definitely worth the wait. So, if you and your significant other want to experience something special together, I'd recommend checking out this event next year. Not just for the beer, but for the memories. You may even get to meet the man who brought joy to people who came from across the country to be part of it all. Raise your glass as often as you can to celebrate the power of love. The love you have for each other, the love of life, and the love of beer! I've said before that I'm not the biggest fan of hops. I know that they're necessary to balance out the malts so that they don't make a beer cloying or overly sweet, and I even like the citrus flavors that come from certain hop strains. It's just the bitterness that gets to me. I really enjoy the sweeter beers, like doppelbocks. I'm also a pretty big fan of fruit beers. Lately, though, I've been drinking more and more sour beers. Call them sours, lambics, or wild ales, all I know is that I love how unique their flavors are. Like many brewers today, I was a bit nervous about the wild yeast involved in making sour beers. To me, brewing always seemed to be about the perfect recipe with just the right amount of carefully selected ingredients brought together through a highly controlled process. I guess that's why the idea of spontaneous fermentation kept me from trying a sour beer for so long. I hope that others won't make the same mistake. If you haven't tried a sour beer yet, don't wait. The tart flavor of a sour beer is an experience in itself. There are many different kinds as well, like gueuze. Made by blending different lambics, gueuze has a dry, acidic taste that's as interesting as its name. Cantillon Brewery and Lindemans Brewery, which have much more awesome names in Dutch, are well known for their gueuzes. They are also a great representation of the country that knows lambics better than anyone: Belgium. Besides gueuze, they make many other types of lambic beers. A good deal of them involve various fruits being added during the aging process. Two styles that come to mind are kriek (which uses cherries) and framboise (which uses raspberries). The secondary fermentation caused by the fruit really does infuse these styles with all sorts of wonderful flavors. The greatest thing for someone like me is that there is no hop character to speak of. I may like citrus, but I like the taste of other fruits even more. Belgium's not the only country making sour beers. Many American craft breweries make them as well, including some right here in Boston. I recently tried Trillium's Bug Valley, an American Wild Ale, after visiting their brewery and filling my 32oz growler with it. It was one of the most drinkable sours I've ever had! The official start of summer is quickly approaching, which means it's about time to start thinking about summer beer choices. I'm not talking about choosing between a Hefeweizen or a Saison. This summer will be less about the style of beer and more about the container. The biggest decision that needs to be made is the choice between the many cans of craft beer that are out there today. Now, I know there are those that scoff at the idea of drinking craft brews from a can. It may be because they feel the taste is diminished or altered in some way, or it may just be that the can reminds them too much of the cheap beers that are common at college parties. What some people who are glass purists have failed to notice is that canning has come a long way. Contrary to popular belief, there are actually craft beers that taste better from a can! Canned beer has been around for a long time, and canned craft beer has been around for over a decade. Oskar Blues was the first craft brewery in America to can the beer that they brewed back in 2002. Since then the concept of putting craft beer into a can has spread across the country, resulting in over 150 craft breweries making their brews available in cans. In fact, the beer that is consistently one of the most highly rated in the world, also known as Heady Topper, was put into a can back in 2011 that prominently instructs those who buy it to "drink from the can!" Heady Topper is contained in what some would call a "tallboy" can, or a can that holds a pint (16 ounces) of beer. Sixpoint has similar cans with the words "beer is culture" on them. Yet, because of the somewhat recent success of craft beer cans, many different styles of cans have been developed. For instance, Sly Fox's craft cannery has put its beers into cans with lids that can be completely removed to enhance the aroma along with the taste. The taste is what makes many craft beer drinkers nervous about trying craft beer in a can. Rumors of metallic tastes, inadequate openings, and little to no aromas are widespread. Yet, craft brewers have paid attention to these concerns, and have worked very hard to eliminate them. That's one of the reasons Heady Topper (affectionately called "Heady") actually tastes better from the can. The brewing and canning processes became intertwined, resulting in an amazing beer that is supposed to be kept in the can! Being in Boston, I couldn't help but notice just how popular craft beer cans have become. You can find offerings from Cisco, Harpoon, and Samuel Adams in cans all over the shelves. Of particular interest to me was what has been dubbed the "Sam Can." Jim Koch invested a great deal of money and time into creating a can that preserved the taste of the beer Samuel Adams makes while also increasing the drinking experience for fans of their brews. The unique design of the can, from its shape to its opening, maintains the wonderful balance that Sam Adams' Boston Lager is known for. The wider mouth on the can allows you to take in the aroma while the curve of the lip offers a much fuller taste as the beer enters your mouth. The similarity in the taste of Boston Lager from a bottle and from a can is truly uncanny (pun intended). I have a feeling I'll be picking up plenty more of these cans throughout the summer. Why buy cans when you could just pick up some bottles? The main reason, especially for the summer, is portability. You can take cans to places that you wouldn't want to bring bottles. Cans are perfect for taking a trip to the beach, going to a baseball game, or just having a picnic. The point is taking your favorite beer outdoors and anywhere else you'd like to go. In the end, having the option to buy craft beer in a can is a great thing. I'll continue to buy bottles and pour my preferred styles of beer into their appropriate glasses while pairing them with a nice meal. Still, I also want something convenient and easy to carry around on trips this summer. That's where the craft beer cans are really going to come in handy. 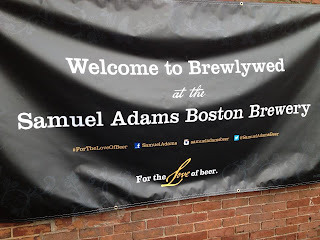 As you might know, I've tasted and reviewed hundreds of beers over the months I've spent in Boston. I've done this by going to tastings every week at a store in Kenmore Square called the Wine Gallery (which has a very friendly and knowledgeable staff too! 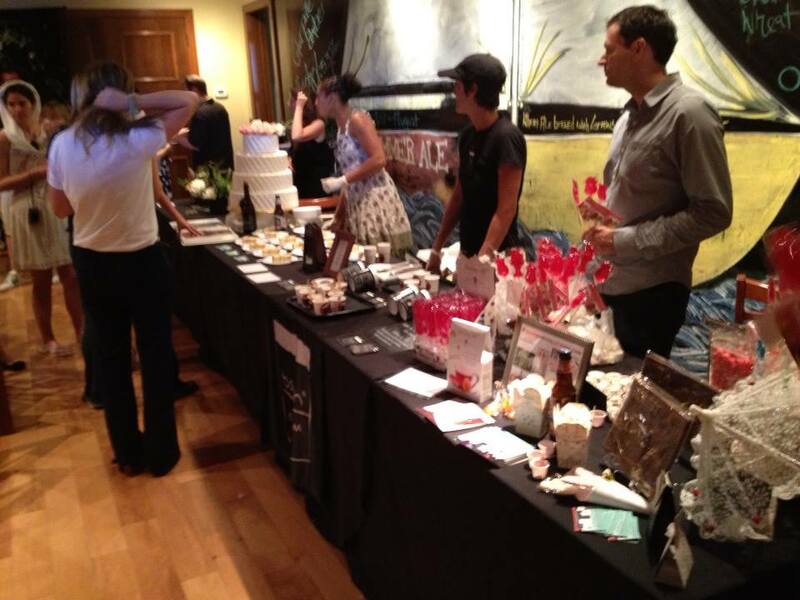 ), as well as by going to events like the American Craft Beer Fest. The ACBF is the largest craft beer festival on the east coast, and at beer fests like this one you can purchase a ticket and try an unlimited amount of different craft beers. 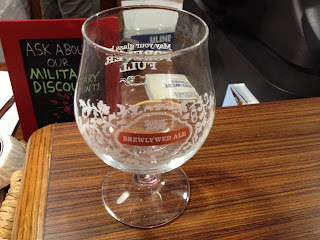 If you'd like to read some of my short reviews, you can check out my profile on Untappd here. Feel free to connect with me! Now, this will be the first time I've written a longer review. How appropriate that it will be on a new Double India Pale Ale, or DIPA, called Rhizing Bines. 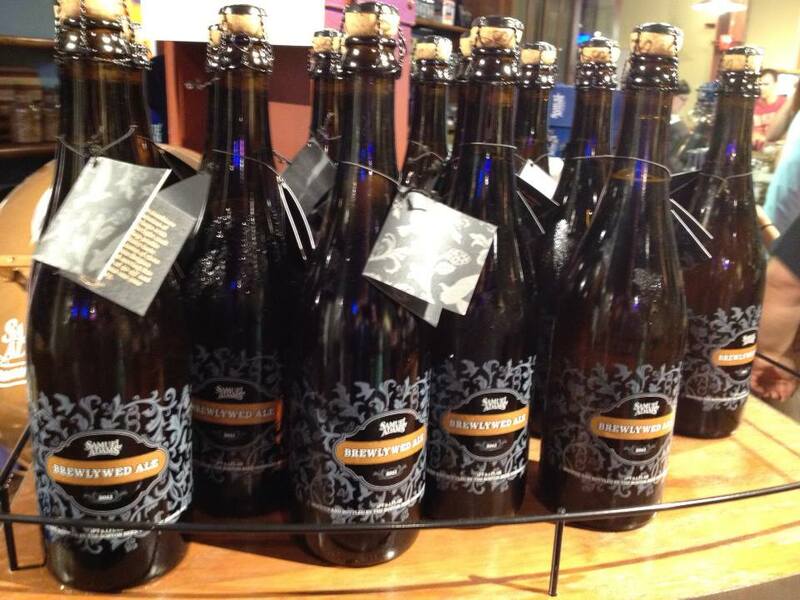 This beer is a collaboration between two great craft breweries, Dogfish Head and Sierra Nevada. Dogfish Head has become one of the most creative and daring breweries in the country, and Sierra Nevada is well-known for its expertise when it comes to hops. The combination made me very excited to try this brew! As you can see, this brew pours a deep, hazy orange color. There was a large, frothy white head on top with a good deal of staying power. 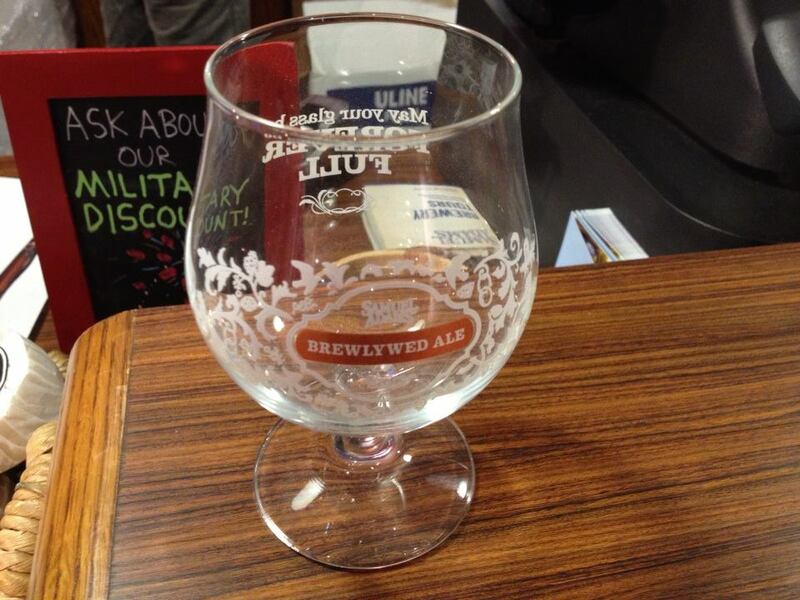 The glassware is also a collaboration, this time between Dogfish Head, Sierra Nevada, and Spiegelau. It's an excellent glass for hoppy IPAs like this one, and there was plenty of lacing left on it as the head on this beer finally started to recede. The smell of the beer is interesting. It starts off somewhat sweet and then becomes increasingly earthy. There is a little bit of wheat in the aroma as well. Definitely not what I was expecting! I was even more surprised when I tasted it. There was a malty flavor followed by a bit of hops. It isn't overly bitter, but there is a noticeable piney flavor. It goes down pretty smoothly for a beer of its strength. The finish gives a little bit of fruitiness to the overall taste. I'd describe the body of Rhizing Bines as medium. As I looked at the bubbles on the bottom of the glass I could tell it was moderately carbonated. The mouthfeel of this beer is juicy in the beginning with a dry finish. I have to say that I really liked drinking this brew from Dogfish Head and Sierra Nevada. You really do get the best of both worlds here. I'm not really a hop head, so I appreciated that there wasn't a huge bitterness to this DIPA. Still, the unique hopping processes of both breweries and the experimental "Hop 644" used to create this brew certainly made it special. I'd say the flavors in this one could satisfy the palate of just about any beer drinker. A high quality brew for sure! Since this is my first blog post, I guess a short introduction is in order. My name is Zack, I'm 23 years old, I was born in Florida, and I've become a big fan of craft beer ever since I moved to Boston to start law school. I told you it would be a short introduction. Anyway, the reason I've decided to start a blog is because over time I've realized that craft beer has truly become a passion of mine. I spent most of my life in Florida, a state with an ever-expanding craft beer scene. Yet, during my time in college craft brews were not readily available or even discussed very often. It wasn't until I came to New England that I came to understand all that the wonderful world of craft beer had to offer. It started out as a hobby. I would try a new brew every now and then just to see if I could find something that I really enjoyed drinking. 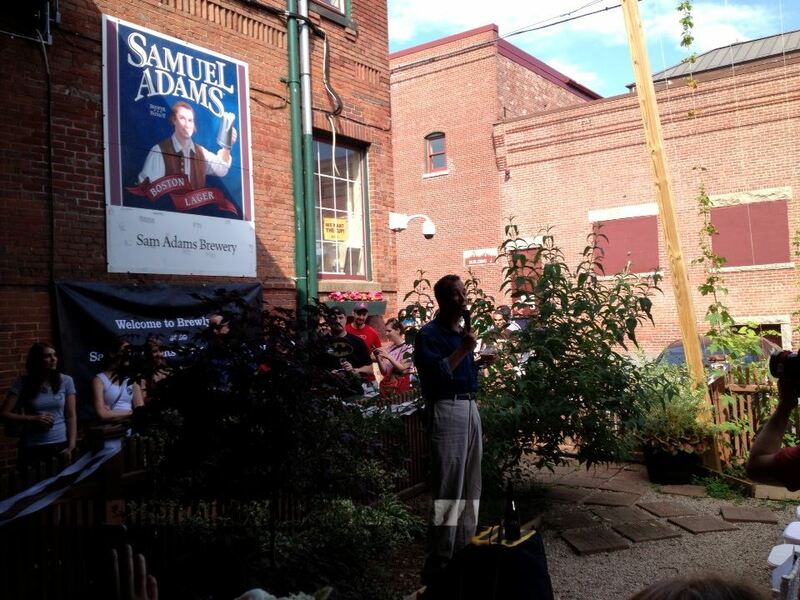 Then I started going on tours of different breweries in Boston and listening to how the beer was made. After that, I actually began to meet a lot of brewers and talk to them about their craft. 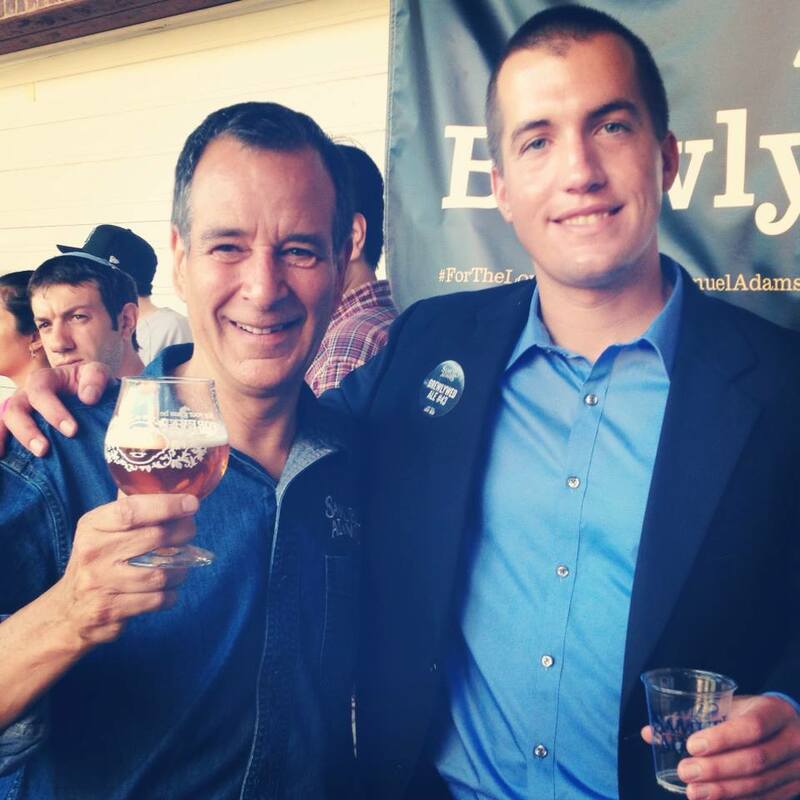 Since then I've gone to plenty of beer festivals and talked to many fans of craft beer about their favorite brews. At this point I can say with confidence that I love craft beer. The reasoning behind this newfound love of mine is simple: craft beer tastes better. Add the flavor of craft beers to their quality ingredients, creative recipes, unique brands, and the amount of work that goes into making them, and you've got a formula for something that almost anyone could fall in love with. Right now my goal is to share the passion I have for trying new things from craft breweries with others so that they can experience the same joy that I have over the time I've spent in New England. I've been attempting to do so for a while. I've been in Boston almost a year now, and I've used that time to educate myself and others on drinking craft beer. I've gone to a wide range of events and tastings to learn more about beers from across the country. I started using an app called Untappd to begin reviewing beers and connecting with others who do the same. Still, I've always felt sort of limited in my ability to express how I feel about certain beers. I guess that's why I'm starting a blog now. I think it's mainly a way for me to write more about what has become one of my biggest hobbies. I hope that by blogging about craft beer that others might learn something about it and even become fans of it themselves. If not, I'll still have a way of putting my thoughts down in writing. In the end, all I want to do is share the happiness that craft brews give me with everyone else.